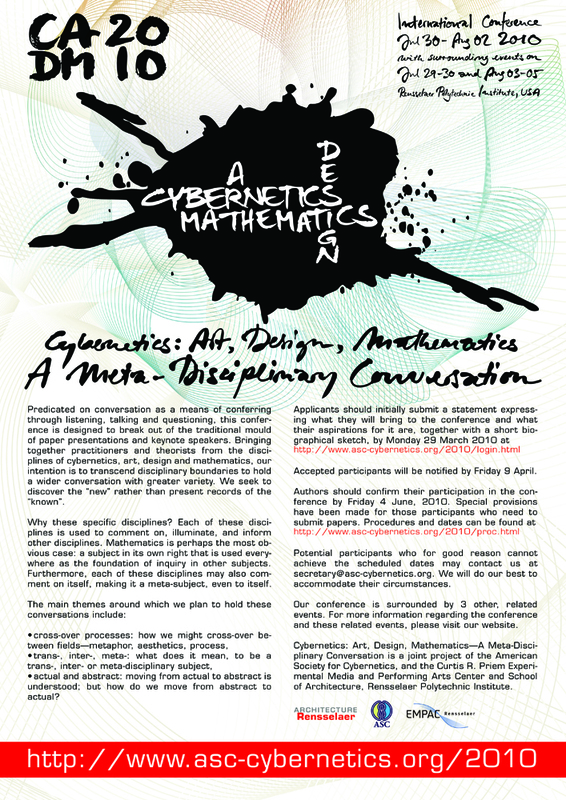 The American Society for Cybernetics, originator and co-sponsor of the conference, will provide an afternoon of tutorials introducing cybernetics, and particularly developments in cybernetics since its 1960s heyday. Members of the ASC will offer tutorials in second order cybernetic developments to those attending the conference on the afternoon before the opening event. There will be no charge for these tutorials. We invite those who would like to join the tutorials to look here and on the Statement of Interest for an opportunity to sign up for a tutorial. We will check interest in the offer of tutorials through these links. Details of the choice of tutorials and their organization will be announced later in the Spring when we better understand the demand for them. Please watch this space for information.